Yes, believe it or not, that is the actual full name of a village we visited during our recent tour of the Welsh countryside. We’d read about the “town with the long name,” and so we made a point of stopping by while touring the island of Anglesey in Wales, just to see it for ourselves. The name of this charming place, also known by its short-form version–Llanfairpwllgwyngyll–literally translates to “St. Mary’s Church in the Hollow of the White Hazel Near to the Rapid Whirlpool of Llantysilio of the Red Cave.” Whew. Weighing in at 58 characters, it is the longest officially recognized place name in the United Kingdom and the second-longest in the world. 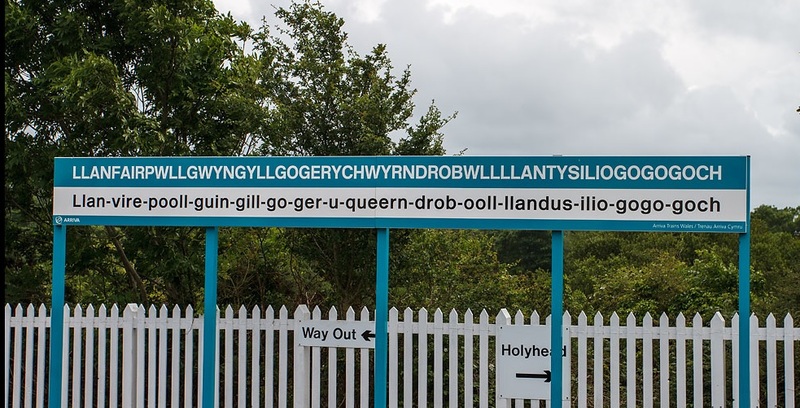 We enjoyed our brief time in Llanfairpwllgwyngyllgogerychwyrndrobwllllantysiliogogogoch, but we’re pretty glad we don’t have to be able to pronounce it–or to write it out on our return addresses!